Practica Programme – Head Office – The comprehensive home based educational kit of toys and games with which parents can monitor and grow a child's, infant, toddler, kids development and maximise his or her potential. 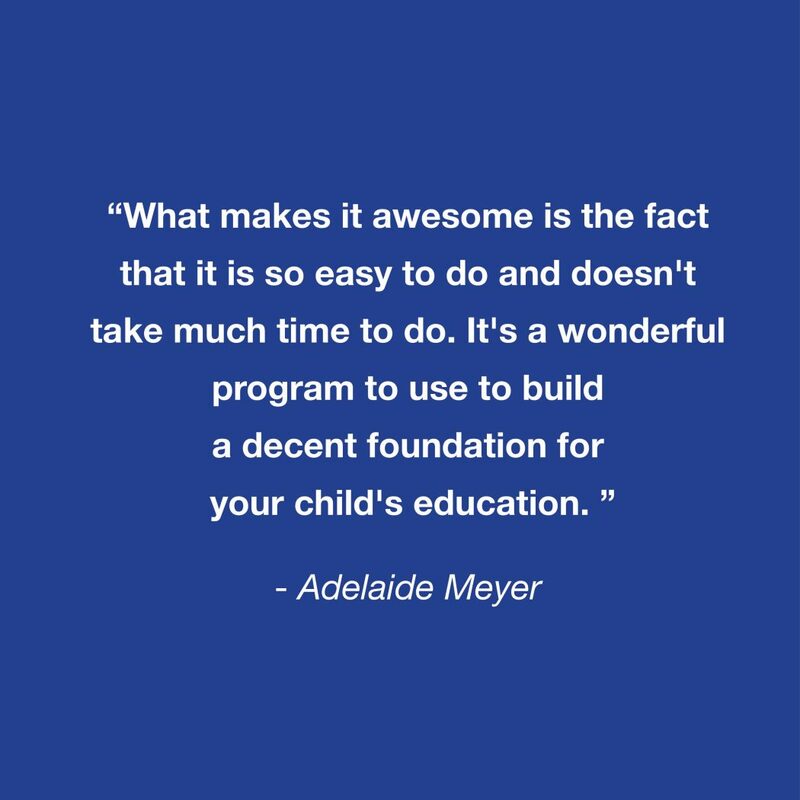 We know that parenting is more rewarding if you have a better understanding of how your child’s needs and interests change over time. 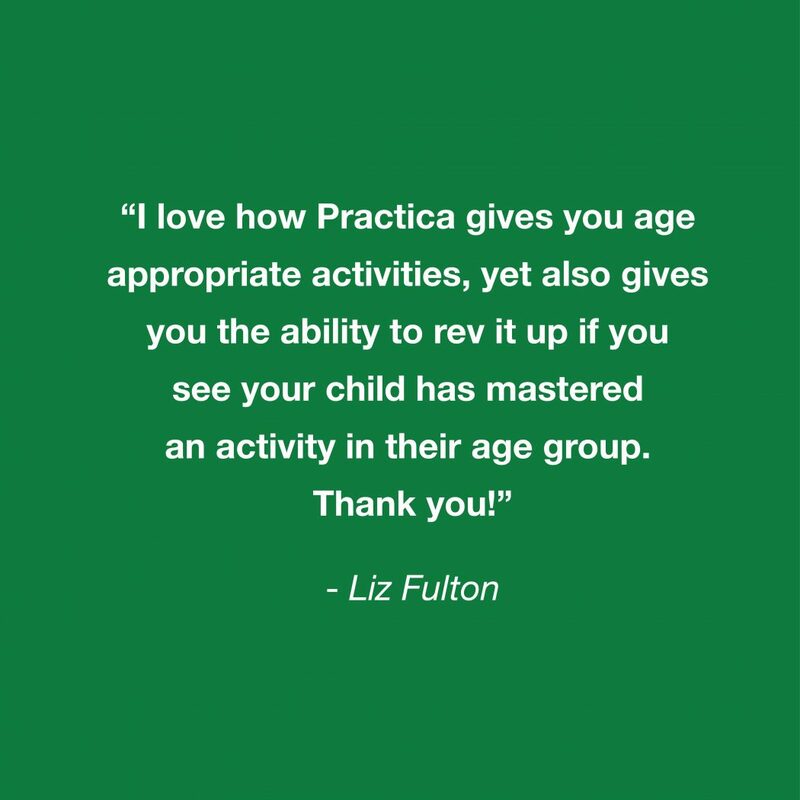 That is why we provide our parents with thousands of age-appropriate activity ideas from the day your child is born until their 7th birthday! You will be able to focus your attention on doing things that count. You will know exactly where to start on each of the skills, how to progress from one milestone to the next, and how to measure progress and success. Click on the link above to read more! 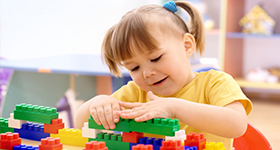 Without the thousands of ideas for everyday activities listed in the Practica Parents’ Guide, you will have to largely rely on toys to try and stimulate each of the 50 school readiness areas. Imagine how many toys you will need to buy every year! 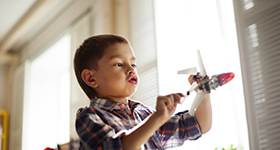 What should my child be able to do at his age? How will I know whether he is on par? What can I do to help him if he isn’t? 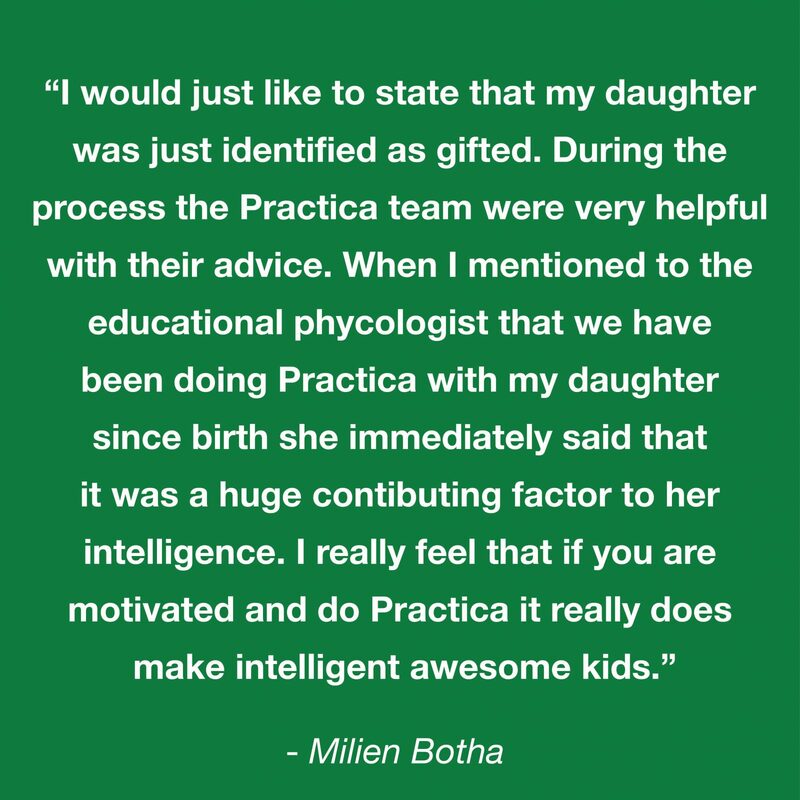 To find out how the Practica Programme helps you to answer these questions, click on the link above! Reading through the Practica Parents’ Guide is like reading through an expert’s ‘crip notes’ on educational stimulation. It’s literally a summary of everything that educational experts in different areas of expertise would view as important to know and do. Will I over-stimulate my child? Will the programme fit into my busy lifestyle? Will I really USE the programme? For answers to these questions and to find out more about the benefits of the Practica Programme, click on the link above! There are 50 school readiness skills that will be tested when your child reaches school-going age. All of them need to be fully developed by the age of 7 years. 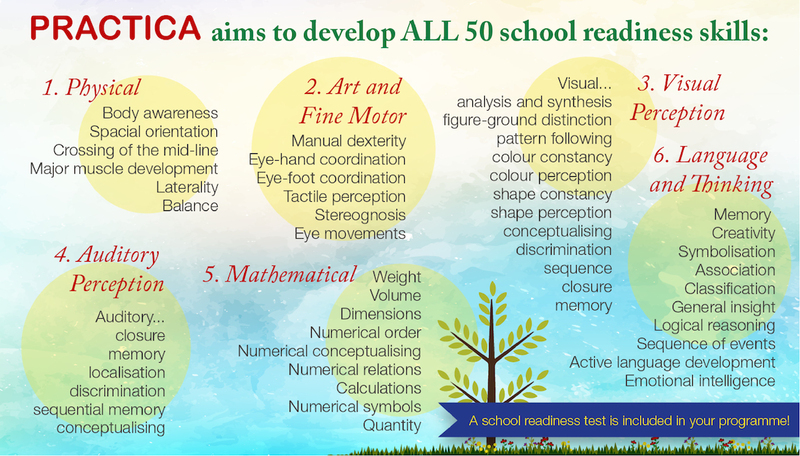 The Practica Programme is focussed on developing the 50 school readiness skills in a balanced and fun way. This is one of the key reasons why Practica is described as a comprehensive and complete educational system. 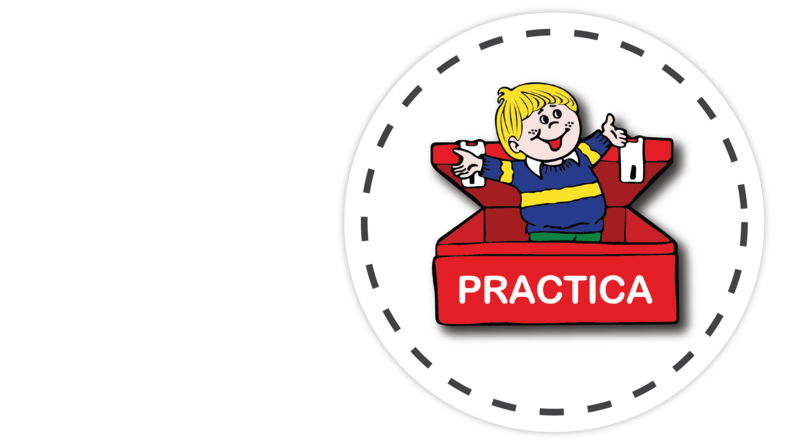 Practica is not a cirriculum that must be followed, a box of loose toys or a subscription service with monthly activities. 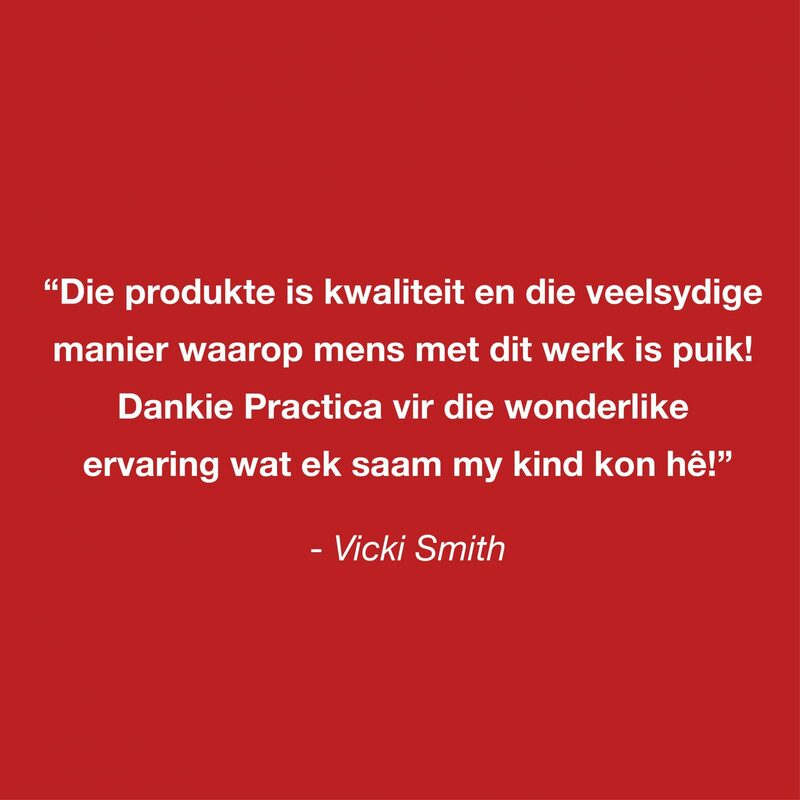 The Practica Programme is a lifestyle! When you, as a parent, are enabled to recognise your child’s weaker areas at an early stage, you can deal with challenges and problem areas more effectively. 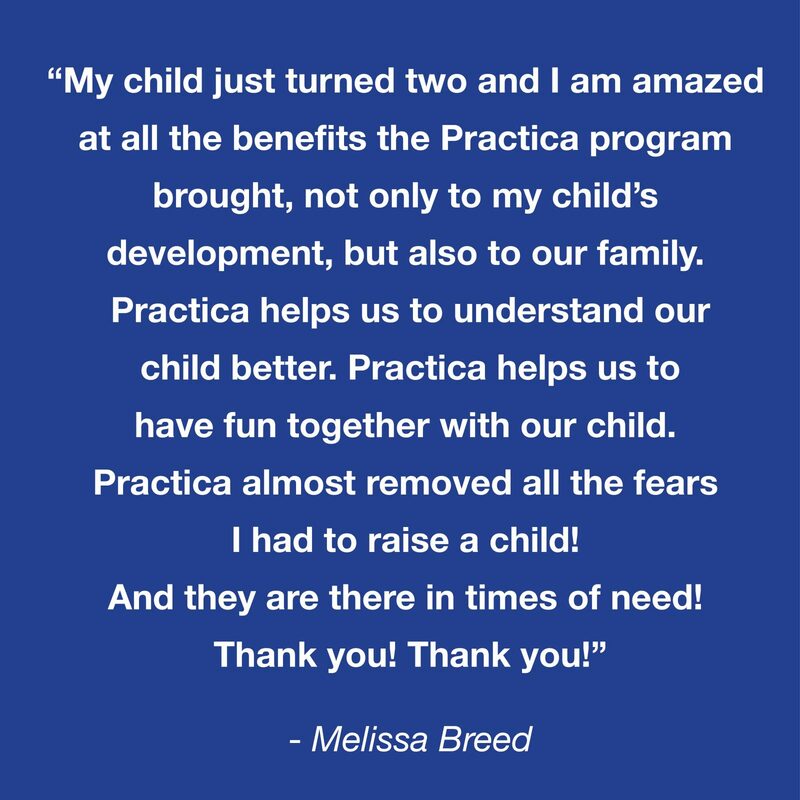 The Practica Programme not only helps you to notice your child’s weaker areas. It also makes it possible for you to discover talents early on. However, it is particularly important to recognise your child’s weaker areas timeously and work on problem areas at an early an age as possible because of the way in which children are expected to function when they enter into formal schooling. When children start with their formal schooling, they use the 50 areas in various combinations. As an example, a child, who is holding a ball with two hands and then kicks it, taps into at least 8 different areas of development in various combinations as he goes through the series of movements involved. 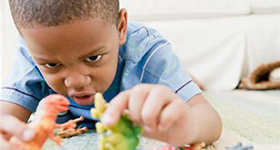 It is thus understandable that even just one or two weaknesses can negatively impact and undermine a child’s functioning in many other areas that may be far better developed. 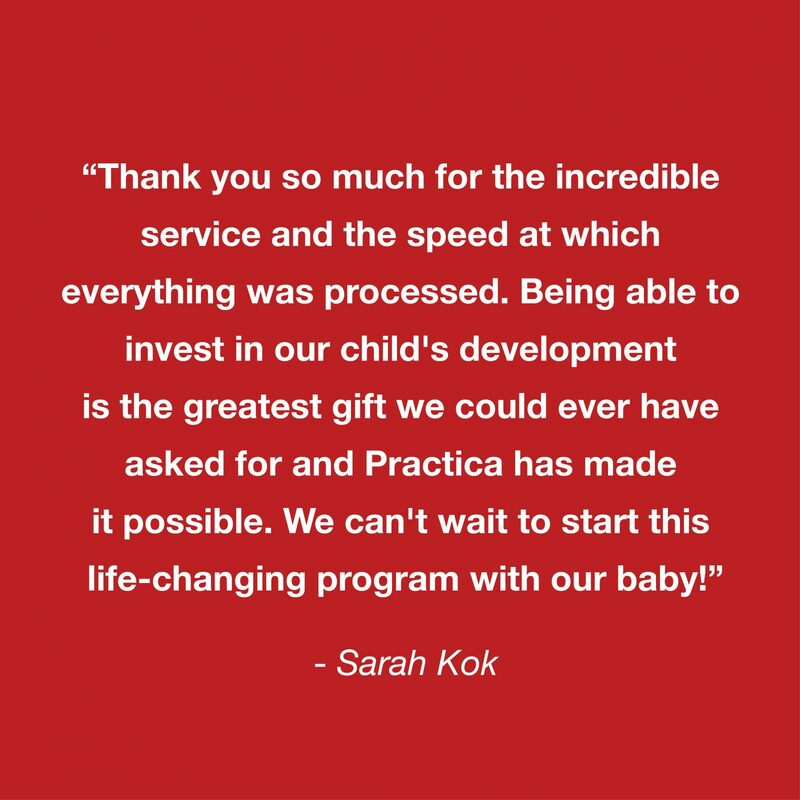 The Practica Programme uses thousands of games and activities that are age appropriate to stimulate all the necessary school readiness skills at every age. As you work through the games, you are able to witness your child’s development first-hand as it unfolds over time, so that you can pick up on weaker areas. This all-encompassing philosophy of “Big Picture Parenting” is largely responsible for Practica’s phenomenal success since 1993. Practica Activity – Exercises for Small Hands. Why Talking to Your Baby When He’s too Young to Understand Gives him a Head Start. Not sure if you're doing the right thing for your child's age? Signup to receive interesting articles, recipes, game ideas and much more!